See updates at the end - not as bad as it first sounded! 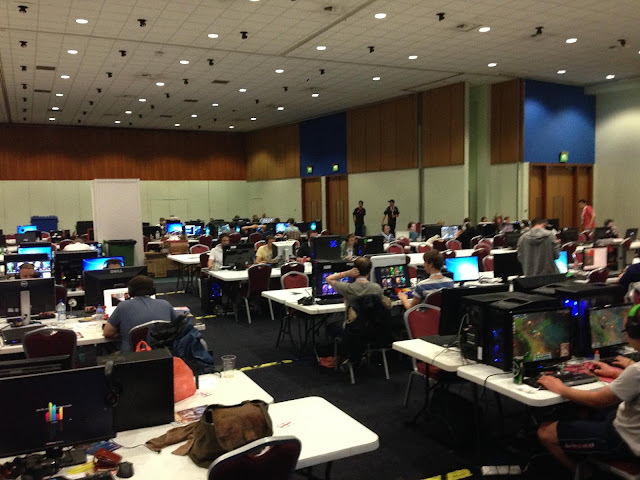 Whilst I may be old enough to have actually written video games on things like a TRS-80, back in the day, I have never been to one of the LAN gaming events. I do occasionally play WoW, but nothing like LOL. However, my son had gone to I49 in Telford, and even got me to sponsor their team with A&A T-shirts and all sorts. Now, my understanding is that you often have tournament/event game servers on-site for these things and so they are played on the LAN, but it seems that is not the case for all games. James is playing LOL there, competitively, but the game is played over an Internet connection provided as part of the event. He is not amused though - and is nagging the hell out of me for A&A to do Internet at a future event. Apparently they have disconnected the Internet several times, with as little as 5 minutes notice when people are in the middle of games. The connectivity is apparently really bad. Now, I know gamers are the first to blame an nanosecond of extra latency for missing a kill, but this does indeed sound pretty bad. It is so bad that he has tethered his mobile in order to play, and has won games on that basis! Of course, to be fair to the people who are doing the Internet, it is a challenge, and it may be that the budget does not allow any better. If they do ask A&A, it will be a challenge, and to do it properly it will be expensive. We'll have to see. James is giving out leaflets though. Update: The people running the network have advised me that they had some issues yesterday which was fixed (and that is why the Internet was disconnected briefly), and also that they have a gig but the demand is way higher! There have also been DDoS and all sorts. Not sure I would want to take that on myself! Update: The person running the network is an A&A customer (what a surprise!) and on our irc channel, so able to talk directly to James to discuss any issues. LOL! Update: OK, the network is pretty complex, but the guy running it knows what he is doing and taking issues seriously. James is off his mobile now and things seem to be going well. Now that photo must have been from your dark archives!! No way any modern gamer would be seen dead using those cathode monitors! Unless the game producers are actually involved with the event it's unlikely they will allow 3rd party servers to enable it all on LAN. They normally provide the servers themselves to keep control IE Blizzcon etc. They are very protective over their realms, for good reason I guess as gold farming and item selling is a major real world currency. I recall a sword from WoW being sold for $10,000 about 4 years ago.... $10k for a few pixels - now that's LOL ! If the idiot has taken a picture of an old picture, I'll kill him. I asked about that picture loads of times. The top pic is from a stand in the exhibition hall. History of gaming thing. Bottom pic now, but left it in the post for amusement. I think I have been trolled. 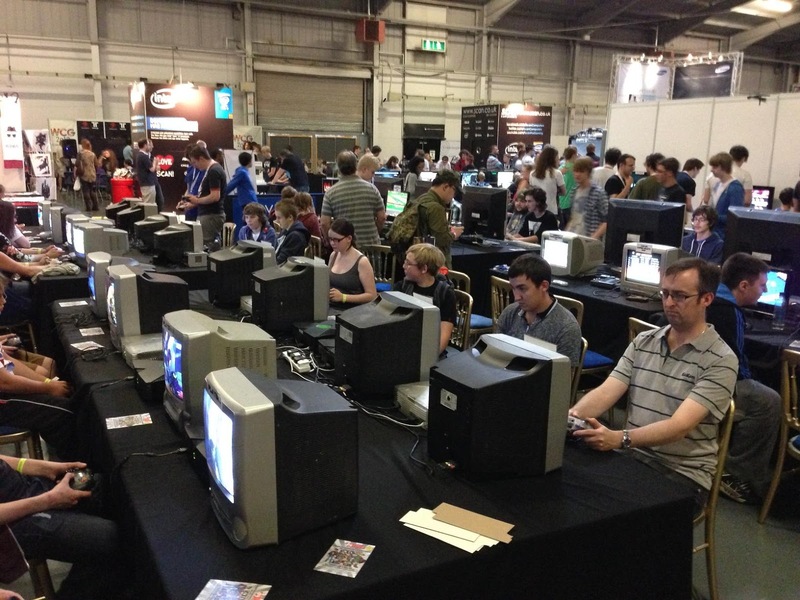 AIUI (some) gamers still prefer CRT monitors because of their lack of latency.